Treasurer Our club’s financial situation is still relatively stable. We were able to pay off another $2,500 of the last elevator loan. This leaves only $4,700. The end is in sight and will be paid off in 2011. This is because of many generous donors this year. If you want to donate to retire this debt and get your name on the “We Finished the Job” plaque, please send your donations attention Commodore- Elevator Fund. All required forms required by the government have been filed and all insurance policies have been renewed at excellent terms (most lower than last year) and are paid up as required. The June statement shows a net profit of $ 810. Since we use the Cash method of accounting, some timing issues of when money comes in and expenses are paid out can change this to a small loss estimated at $902. June’s statement including my notes are posted on the bulletin board. While some may view these notes as controversial – they help us gain a better understanding of the club’s financials and the statements themselves are never modified. Email me if you would like a copy. We are saving an estimated $900 a month in propane by turning the furnaces off during the summer months. We are working on ways to minimize propane costs during the upcoming Fall and Winter. We are continuously looking for area to lower costs. We have some repairs the clubhouse needs and Aaron is looking for volunteers. Please help him as this helps lower our expenses. 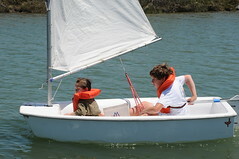 The high point of our activities is Youth Sailing run by Laural Reid. On June 30th, we have an excess of funds over expenses of almost $5,000 and not all receipts have been received Our O’Day 23 will soon be available for members to use. The Galley is largely under control and methods are being implemented to reduce the losses further and introduce consistency. The food is excellent, delivered quickly and the prices are good – don’t forget that our prices, including at the bar, include tax and gratuity. Our accountant has retired CPYC from his practice. The Finance Committee will soon start the process to replace him. If you have any recommendations please send me an email or call.